Unless you have read this blog regularly, you probably have not heard of Lariana Cellars. I run into people all the time who admit that to me. Perhaps it is a case of “out of sight, out of mind.” To find the winery, you need to drive toward the Canada-US border crossing at Osoyoos. If you get caught up with American Immigration, you have gone too far. Just a few yards this side of entering the presumptive Kingdom of Trump, turn left at Second Avenue and follow it as it winds by the eastside of the border buildings. Bear left again and watch for the winery on the north side of the street, at 8310 2 Ave, Osoyoos. I would also suggest calling ahead for an appointment (250.498.9259). This is a very small winery run by Carol and Dan Scott and they are likely to be engaged in their other business, a 75-unit recreational vehicle park on Osoyoos Lake. But they are a friendly and accommodating couple. That may sound like a lot of trouble, but it is well worth it. Lariana’s Viognier is, arguably, the best in British Columbia. The two red wines are also impressive, and worth the price. Here is an except from John Schreiner’s Okanagan Wine Tour Guide to provide a little more background on the winery. The winery name is a tribute to Larry and Anna Franklin, the parents of Carol Scott, who owns this winery with her husband, Dan. Larry Franklin was a shareholder in Shannon Pacific Vineyards, a large Black Sage Road vineyard until it was broken up after the 1988 vine pull out. During one vintage, Carol was assigned to keep the starlings away from the grapes with a bird gun. In another vintage, she helped pick grapes. She also hauled grapes to the family home in Burnaby where her father made wine. Those experiences planted the seed for this winery even as the Scotts, both born in 1963, pursued careers in Burnaby. Don is a millwright while Carol has been a travel agent. They moved to Osoyoos in 1989, taking over a campground that her parents had established in 1968. The recreational vehicle sites, which they still operate, take up the lakeside half of the four-hectare (10-acre) property. The vineyard, which began to replace apple and cherry trees in 2007, occupies the top half. The Scotts, who intend to limit production to about 1,200 cases a year, built a plain Jane winery with a modest tasting room. They invested instead in top flight equipment, including the California-made concrete egg in which Carol and consulting winemaker Senka Tennant make Lariana’s Viognier. Stainless steel tanks are half the price but whites made in concrete eggs – several larger Okanagan wineries have them – show richer texture. Here are notes on the three current releases. Lariana Cellars Viognier 2015 ($25 for 215 cases). This is fermented in the winery’s 1,800-litre concrete egg (and in one neutral French oak barrel). It begins with fruity aromas, including a surprising but pleasing note of pineapple and rhubarb. On the palate, the flavours are lush and tropical, with notes of lychee and peach. The wine is refreshing, dancing lightly on the palate, with absolutely no heat from the 14.3% alcohol. This is a tour de force, a benchmark for Okanagan Viognier. 93. Lariana Cellars Carménère 2013 ($40 for 120 cases). This wine is new in the Lariana portfolio. This wine has been aged 20 months predominantly in French oak. The fans of Okanagan Carménère will appreciate this swaggering example, with peppery aromas and flavours surrounding the plum, black cherry and prune notes. The wine is savoury, with long ripe tannins and a persistent finish. 92. Lariana Cellars Thirteen 2013 ($45 for 555 cases). The blend is 68% Cabernet Sauvignon, 20% Syrah and 12% Carménère. The wine begins with aromas of cassis lightly touched with mint. On the palate, the flavours are savoury and earthy, with notes of black cherry, black currant and black coffee, mingling with peppery dark chocolate and polished tannins on the finish. 92. A note on the name of the wine. This is Lariana’s flagship red; it is named for the vintage. The previous release was Twelve and the next release will be Fourteen. A record 506 wines were entered this year in the 2016 Lieutenant Governor’s Awards for Excellence in British Columbia Wines. In keeping with the rigor in which the competition is judged, 12 wines were singled out for awards from among the 46 excellent wines that made it into the final round. One winery owner has been quoted as saying this is like winning the Stanley Cup. It is an apt comparison, considering that award was established by a Governor General. A slight amendment of the judging procedure last year improved the rigor of the competition, assuring that the best wines were winners. For the semi-final round, the judges regrouped into two panels. These refined the selection to 46 wines for the final round of judging. Inserting the semi-final round of judging is new since last year. Thus, the winning 12 wines were tasted twice by all nine judges, and three times by some judges. There was unanimity or strong majorities for the winners. This year, the winning wineries are all in the Okanagan. They include both repeat wineries and four first time winners. As has become customary, the Lieutenant Governor will present the awards at each winery. This year’s tour, however, has been moved to the first week of September. In previous years, the tour took place in the last week of July. In a show of either self-confidence or aggressive marketing, British Columbia wineries entered two-thirds of the wines at the recent All-Canadian Wine Championships. A total of 1,322 wines were entered in the ACWC, the oldest of the national wine competitions. British Columbia wineries accounted for 807 of the wines entered. Ontario wineries entered only 368 wines. And British Columbia wineries took two of competition’s five trophies for best wines in their categories. The wine judged to be the best white in the competition was Arrowleaf Cellars Dry Riesling 2015. This wine from a Lake Country vineyard is a tremendous value, at $16 a bottle, for a wine of this quality. The best red wine in the competition was judged to be Deep Roots Winery Syrah 2014, a $34 wine from a Naramata winery that has begun to earn a reputation for Syrah. The top sparkling wine in the competition was judged to be Archangel Chardonnay Sparkling 2011 from Angels Gate Winery in Ontario. The top Icewine was judged to be a 2014 Cabernet France Icewine from Magnotta Winery, also based in Ontario. The top fruit wine was an iced apple wine from a Quebec producer, Cidrerie du Minot. Following is the list British Columbia producers winning best of show awards – in effect, double gold medals. The complete results are at allcanadianwinechampionships.com. The ACWC is now in its 36th year. The wines were adjudicated over three days by 17 judges from across the country, including five from British Columbia. Congratulations to all the winning producers. Ruby Blues Winery Commune Pinot Gris 2015. When Richard Kamphuys and his wife, Jitske, opened this winery in 2011, they were wise enough to ignore a piece of free advice I offered them. The winery is on a cool hillside east of Kelowna International Airport. Richard made appropriate choices for his 15-acre site in 2005 when he replaced an orchard with grape vines. Ancient Hill’s Baco Noir sells for $25 a bottle and is the most popular wine in the tasting room. It was easy to confound my prediction: Ancient Hill arguably makes the best Baco Noir in British Columbia. To be sure, there are not many other producers – but is an excellent wine and worth every penny. To fill in the back story, here is what I wrote about the winery in my most recent edition of John Schreiner’s Okanagan Wine Tour Guide. The proprietary name I suggested to Richard was The Rittich. The except tells why that name resonated with me, if not with Richard. This splendid Robert Mackenzie-designed winery overlooking Kelowna International Airport returns viticulture to where it began in the north Okanagan when the Rittich brothers planted grapes near here in 1930. Natives of Hungary, Eugene and Virgil Rittich concluded that vinifera grapes could succeed and wrote a book (British Columba’s first wine book) on how to grow grapes and make wine. Severe winters that occurred periodically doomed those pioneering trials in the Ellison district, as it was known. The modern-day pioneers are Richard and Jitske Kamphuys (rhymes with compass) who came from Holland in 1992 and bought an apple orchard. Richard, who was born in 1963, completed an advanced economics degree at the historic Erasmus University in Amsterdam before deciding he wanted a rural lifestyle for himself and his family. He considered growing grapes as soon as he and Jitske, a former doctor’s assistant, bought the orchard but was put off by general pessimism at that time about the future of British Columbia’s wineries. The previous owners, encouraged by the Rittich trials, planted grapes on the hillside in 1944, abandoning the vineyard when the hard 1949-1950 winter killed many of the vines and even some apple trees. About 40 of those ancient vines, probably Okanagan Riesling, still survive. Richard and Jitske replaced the orchard in 2005 with 27,000 vines over about six hectares (15 acres). They have chosen mid-season ripening varieties: Pinot Gris, Gewürztraminer, Lemberger, Zweigelt and Pinot Noir. The biggest block, more than a quarter of the vineyard, is Baco Noir, a winter-hardy red French hybrid. “I should have had more Baco Noir and less Zweigelt,” Richard says. He has begun to plant Baco Noir among the Zweigelt vines, easing into a vineyard transition. “That hybrid seems suited to this area,” he believes. “It came through in a lesser year as well as in a good year.” To make the point, he pours a glass of Baco Noir from 2010, a cool year. The wine is full-bodied with rich flavours of plum and chocolate. The visitors to Ancient Hills’s baronial tasting room almost always favour Baco Noir. Ironically, Richard did come up with a proprietary name for a blend of two reds, Zweigelt and Lemberger. The wine is called Lazerus. I don’t know how that name is working for him – but he is now planning to make individual red varietals as well from those two. He can afford to expand is focussed portfolio a bit but he will never have a list as long as some of his peers. Ancient Hill produces a total of 2,500 cases of wine. “I have no desire to get to 10,000 cases,” Richard says. Here are notes on current releases. Prices do not include tax. Ancient Hill Pinot Gris 2014 ($15.65). This wine is crisply fresh, with aromas and flavours of pear. The wine, which finishes dry, has good weight on the palate. 90. Ancient Hill Gewürztraminer 2013 ($16.52). The wine begins with aromas of spice and lychee. Rich and full-textured, it has flavours of lychee and grapefruit. It is balanced to dryness. 90. Ancient Hill Rosé 2014 ($14.78). This is a blend of 74% Zweigelt, 12% Gewürztraminer, and 7% each of Baco Noir and Pinot Noir. The ruby-hued wine has appealing aromas of red berries with a hint of red licorice. A touch of spice lifts the flavours of currants and cranberries. The finish is dry. 90. Ancient Hill Lazerus 2011 ($14.78). This is a lean, spicy red with aromas and flavours of cherry and red berries. There is a hint of chocolate on the finish. 88. Ancient Hill Pinot Noir 2012 ($17.39). The aromas of raspberry and cherry are echoed in the flavours of this medium-bodied wine. This is a touch of spice on the finish. 89. Ancient Hill Baco Noir 2012 ($21.79). 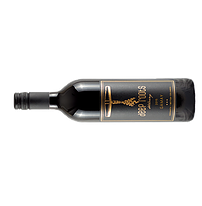 Almost black in colour, this wine is robust and rich, with aromas of plum and flavours of plum, black cherry and chocolate. The soft, ripe tannins give the wine a rich velvet finish. 91. The name of this winery comes from a question that John Ness, the owner, asked himself when launching the project: is it a big dream, or just a pipe dream? The quality of the wines answers the question. When the tasting room opens (soon), the offerings include one of the best Grüner Veltliner wines made in BC. The list of Grüner Veltliner producers still is short. 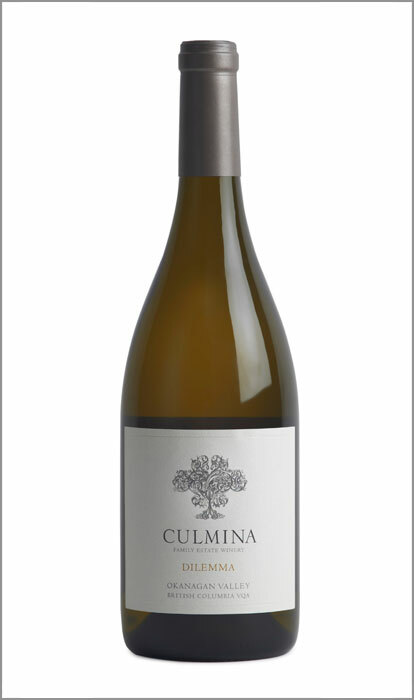 The first in the Okanagan to make wine from the leading Austrian white grape was Culmina Family Estate Winery three vintages ago. Culmina set the bar high with its wine, called Unicus, and Pipe' Dreams has risen successfully to the challenge. Pipe' Dreams, which offers four other wines, is a short drive north of Oliver and west from Highway 97. There is a sign on the highway but, when I visited recently, no sign yet at the winery. However, Sportsman Bowl is a road that dead ends at a shooting range. Turn around and look for a flat vineyard on the north side of the road. A big man with a friendly personality, John (left) was born in 1947 in Winnipegosis and grew up in Vancouver. His family usually vacationed in the Okanagan every summer with friends who lived there. “I surveyed from 1968 to 1975,” John continues. “Then I started with Nova Corp., surveying pipelines. About 1980 I went into construction management in the pipeline area. That’s what I have been doing every since: construction management, looking after quality specifications, inspection staff, that kind of business.” He is currently involved with one of the proposed liquefied natural gas projects. Throughout his career, he has been based either in Edmonton or Calgary, where he still has a residence. But the lure of the Okanagan never went away. He began looking for property about seven years ago. As he became more serious, he engaged consulting winemaker Mark Wendenburg to help him screen properties. He bought the winery property late in 2009. Nothing was being cultivated there at the time. “I thought I will do some grapes,” John says. He planted the available 3.4 acres in 2011. Deliberately, he chose varieties outside the mainstream of Okanagan plantings: Grüner Veltliner, Kerner, Gamay Noir and Zweigelt. “I did not want to have the same kind of grapes as everybody else,” John says. “I didn’t want to do Merlot because everyone does Merlot.” As it happens, he now leases a one-acre block of Merlot from a neighbour. He continues to keep Mark Wendenburg to advise him on viticulture and winemaking, recognizing that the consultant’s experience is invaluable to the success of Pipe Dreams. John’s only winemaking experience involved making kit wine – and his last 200-bottle batch froze in poor storage. Mark, who established his own wine consulting company since 2010, is an Okanagan veteran. He dates his introduction to the wine industry from 1980, when he and his late father, Chris, planted the five-acre family vineyard near Penticton. He is best known for his 18 years as winemaker at Sumac Ridge Estate Winery. He left that winery in the spring of 2010 to consult, with Blasted Church Vineyards his first major winery client. Mark (right) was born in Penticton in 1961, shortly after his parents arrived in Canada. They had owned agricultural land in Germany’s Harz Mountains until the East German government relieved them of their property. After helping plant the family vineyard near Penticton, Mark went to Germany in 1982, apprenticing with wineries in three regions, and earning a winemaking diploma at the Bavarian State Institute for Viticulture and Enology in Franconia. On returning in 1987, he started working at the T.G. Bright & Co. winery near Oliver. (now Jackson-Triggs). In winter of 1988, Mark did a crush at the Nobilo winery in New Zealand; the following winter, he did the crush at S. Smith & Sons in Australia (better known as Yalumba). In between those assignments, he resumed working at Brights. He also became involved in a sparkling wine project that had been launched in the Okanagan by California’s Schramsberg Cellars with Inkameep Vineyards and what is now Blue Mountain Vineyard & Cellars. One of his bosses at Brights told him to choose between Brights and the sparkling wine project. Mark chose the sparkling wine project. After that project wound up in 1991, Mark joined Sumac Ridge which was just getting its Steller’s Jay Brut sparkling wine launched. Sumac Ridge had begun handcrafting the wine in 1987 but production was insignificant until Mark came on board. Steller’s Jay is now one of Canada’s best traditional method sparkling wines. A walk through the Pipe' Dreams winery reveals Mark has a modern facility well-equipped to make sound aromatic whites and solid reds. The first vintage from this vineyard was made in 2014 – only 500 cases. Production tripled last year, reflecting the vineyard’s rising production. The Grüner Veltliner is one of the most interesting wines here, if only because there still are few examples in BC. Currently, the other wineries with this varietal, in addition to Culmina, include Bordertown Winery and Vineyard in Osoyoos and de Vine Vineyards in Saanich. Soon to join this elite group is Fort Berens Estate Winery in Lillooet which made trial lot in 2014 from its 25 Grüner Veltliner vines. The wine is so promising that more vines will be planted. It turns out he was right. Here are notes on the wines. Pipe' Dreams Grüner Veltliner 2014 ($29). This is a crisp and fresh wine with aromas and flavours of peaches, nectarines and melon. It has good weight in the palate and has a slightly tangy finish. 91. Pipe' Dreams Kerner 2014 ($29). This is a bold, even full-bodied, white with 14.7% alcohol but with such fruit intensity that the alcohol is not evident on the juicy palate. The wine begins with aromas of nectarine and peach and delivers flavours of peach and apple. There is just a hint of sweetness on the finish. 90. Pipe' Dreams Gamay 2014 ($29). The wine begins with aromas of cherries. On the palate, there is a generous medley of bright red berry flavours with a hint of pepper. 90. Pipe' Dreams Zweigelt 2014 ($32). The dark colour heralds a bold red, with red berry aromas and spicy plum and cherry on the palate. The spice continues on the finish. 91. Pipe' Dreams Merlot 2014 ($29). Lean and medium-bodied, the wine has aromas of black currants. On the palate, there are bright, fruity flavours of lingonberry, blueberry and black currant. 90. Pipe' Dreams Merlot Reserve 2014 (not released). This is a bold, concentrated Merlot, with aromas of vanilla and black currant and flavours of plum, black currant and spice. 92.